BMW Z4 BLACK ANGEL EYE HEADLIGHTS. 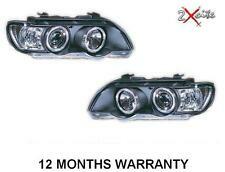 Headlight set for BMW 3 Series E90 E91 2005-2008 - Black inner headlight with white angel eyes. - Angel eyes require wiring to side/parking lights. - Halogen type headlights. Add to Favourites. - Sold as set - driver and passenger side. If you're looking for a way of upgrading your existing headlights to the more modern 2010 onwards signature style, then this is for you! These lights have been custom made for us in the highest quality materials and are by far the best ones available on the market, and we are the only seller to offer these custom rings in this quality! If you're going to the trouble of modifying your headlights make sure you buy the best quality and only do the job once, cheaply made generic "halo rings" won't last 12 months and you will end up doing it all over again! We guarantee our rings for 2 years!!! This is the complete package consisting of....4 x Custom LED rings, Auto DRL switch (for automatic operation so lights switch on as soon as the engine starts and go off when the engine stops) and all. Angel eys headlight set for VW Polo 9N 2002-2005 - Black inner headlight set with yellow angel eyes. - Sold as pair - driver and passenger side. - Halogen type headlights. Help & FAQs. Get Help & Advice. BLACK X5 E53 ANGEL EYE HEADLIGHTS. MERCEDES SLK CHROME ANGEL EYE HEADLIGHTS. AVAILABLE NOW! LIMITED STOCK! NEXT DAY DELIVERY! BMW Z4 CHROME ANGEL EYE HEADLIGHTS. CCFL Halo Kits use Cold Cathode Fluorescent Lighting for bright and even-lit ring illumination. CCFL is a Phosphor coated Glass tube (similar to neon) that is powered via a separate inverter and connected to the ring by a PNP connector. Environmentally friendly and power saving High quality LED chips made Good vibration resistance and stable emitting Low heat generation Direct swap with BMW OEM angel eyes bulb Up to 50,000 hrs to life expectancy Will not trigger any computer error code Allow your angel eyes match the same white color as your HID headlight Color: White (7000K) Voltage: DC 12V 3W each led chip, 6W per light bulb Compatible with BMW E90 & E91 models: BMW (with stock equipped Angel Eyes / Xenon Headlights Only): UK / Euro Spec:. 04-07 BMW 1-series E87. 06-07 BMW 5-series E61 Touring. 04-07 BMW 5-series E60. 06-07 BMW 5-series E60 M5. ☆ Genuine CREE XLamp XB-D LED chip from USA (Certificated) 01-03 BMW 5-series E39 face-lifted / LCI. BMW E46 2 DOORS (2D) 3 series 2004-2006 Facelift Coup. E46 Coupe 2x 85mm 2x 106mm full circle. SMD LED ANGEL EYES HALO RINGS UPGRADE COMPLETE KIT. XENON MATCH - 6000K. The ring can output ultra white HID xenon colour temperature 6000K. Product Description Package included： 2*angel eyes LED halo,5 watts SPECIFICATIONS ANGEL EYE LED HALO 2 X 5 Watts LED Ring Marker Light for BMW E53/E65/E66, E60/E61, /E63/E64/E87 Angel Eyes This is for one pair of LED bulbs (2 bulbs) Works with BMW Vehicles BMW 1 Series E87（upto-2008） BMW 5 Series E61（upto-2008） BMW 6 Series E63, E64（upto-2008） BMW 7 Series E65, E66 （upto-2008） BMW X5 E53 （upto-2008） No OBC Error. No Bulb-Out Warning Message To replace BMW OEM: part # 63126916097, #63126929309, and #63126904048. Car Model BMW E83 X3. Light Chip: SMD 1210 3528 LEDs. Kit include 4pcs Angel Eyes relay harness. LED Chip Type SMD-1210/3528. Light Technology LED. Plastic cover. 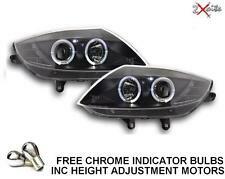 Projector angel eyes headlights for BMW 3 Series E90 E91 2005-2008 - Black inner with white angel eyes. - Halogen type headlights. - Sold as pair - driver and passenger side. - Bulb type: H7/H7/PY21W/LED. BMW X3: E83 (2003-2010 without factory Angel Eyes ). BMW 3 series: E46 compact ti/td (2001-2005). use 131 mm ring for high beam. 106 131 mm rings. 2003-2010 without factory Angel Eyes. without factory Angel Eyes. Fit BMW E46 2D with projector after facelift LCI. The CCFL ring can output ultra white HID xenon colour temperature 6000k. Newest kit for upgrade CCFL halo rings. XENON MATCH - 6000K. 2x85mm 2x 106mm CCFL RINGS. Ford Mondeo MK3. Ford Mondeo MK3 (2001 - 2007)will not fit not ST models. SMD LED ANGEL EYES HALO RINGS UPGRADE COMPLETE KIT. XENON MATCH - 6000K. The ring can output ultra white HID xenon colour temperature 6000K. NOT FIT E90 and E91 models. •Color temperature: 7000K gives you the best look for angel eyes. Two(2) x 80W CREE LED Angel Eyes/DRL Light Bulbs;. Our products use CREE LEDs. What is CREE LED. CREE is the market-leading LED manufacturer in US. BMW Z3 CHROME ANGEL EYE HEADLIGHTS. For BMW 3 Series E46 Projector incl. 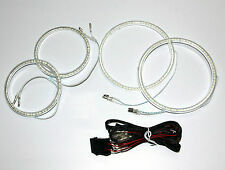 M3 Ccfl Angel Eye Kit 6000K Lighting Set. This is 1 set of 6000K colour crystal fluorescent Angel eye/Halo rings. Made to the highest possible standard with inverters to prevent any bulb failure errors on the dash. Angel eyes headlights for BMW 3 Series E46 01-02 2 door only - Black headlights set with yellow angel eyes. - Body type: Coupe, Convertible. - Halogen type headlights. - Sold as set - driver and passenger side. VAUXHALL CORSA C BLACK PROJECTOR ANGEL EYE HEADLIGHTS BRAND NEW AND STILL BOXED PAIR OF BLACK PROJECTOR HEADLIGHTS WITH BUILT IN ANGEL EYES FOR A VAUXHALL CORSA C 2000 ONWARDS RIGHT HAND DRIVE HEADLIGHT AND MAIN BEAM BULBS INCLUDED FULLY E MARKED , ROAD LEGAL AND RIGHT HAND DRIVE. THESE WILL PASS AN MOT ANGEL EYES WILL ILLUMINATE WITH THE SIDELIGHTS AND REQUIRE CONNECTION NOT RECOMMENDED FOR USE WITH HID KIS. This is 1 set of 6000K colour crystal fluorescent Angel eye/Halo rings. Made to the highest possible standard with inverters to prevent any bulb failure errors on the dash. 4 x CCFL Angel eye rings. Body type: Saloon, Estate. 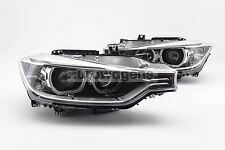 Angel eye headlights for BMW 5 Series E39 1995-2000 - Halogen type headlights. - Suitable for both RHD and LHD traffic - adjustable by flicking a switch next to the main beam. MERCEDES SLK BLACK ANGEL EYE HEADLIGHTS. Black interior with clear, unpatterned lens. These headlights have 2 angel eye rings, a projector main beam, standard lens high beam. The angel eye rings are fitted with pre-wired LEDs. Complete DRL & Halo style Projector headlights. This Product is Compatible with BMW E39 E61 E63 E64 E65 E66 E53 E83 Models Only. High quality & Durable with CANBUS Error Free. Give your car a premium appearance with this High Quality BMW Angel Eye Halo Lights. 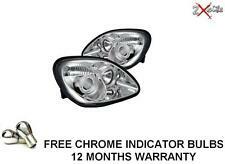 Headlight set for Mini Cooper One R51/R52 2001-2006 - Black inner headlight set with white angel eyes. - Angel eyes require wiring to side/parking lights. - Halogen type headlights. Add to Favourites. Projector angel eyes headlights set with indicators for VW Passat B5 97-00 - Halogen type headlights. Rear Lights. Add to Favourites. - Sold as set - driver and passenger side. Get Help & Advice. We will dispatch your item as soon as we can. Fits all right hand drive Mk2.5 models only, 2000>2004 up to chassis number 413680. We source our products from all over the world to bring you the best in MX-5 parts and accessories. Also, as the angel eye rings act as the side lights, a small amount of wiring is required to join them to the existing loom. Projector angel eyes headlights set with indicators for VW Passat B5 97-00 - Black inner with yellow angel eyes and indicators. - Halogen type headlights. Rear Lights. Add to Favourites. - Sold as set - driver and passenger side. This is 1 set of 6000K colour crystal fluorescent Angel eye/Halo rings. Made to the highest possible standard with inverters to prevent any bulb failure errors on the dash. Super bright rings 6000K to Match Xenon. TO FIT BMW E46 Compact 2000 - 2006. BMW E46 Compact 2000 - 2006. SMD LED ANGEL EYES HALO RINGS UPGRADE COMPLETE KIT. XENON MATCH - 6000K. The ring can output ultra white HID xenon colour temperature 6000K. 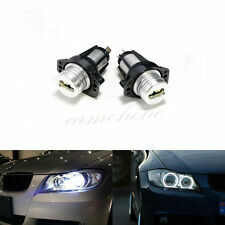 Set of 2 LED Car Angel Eyes "LED EVO Formance" 9cm white car bulbs. LED Angel Eyes 9cm LED white EVO Performance. Led Number - 24. Will transform the look of your car. These LEDs produce a bright white. BMW Angel Eyes Rings SMD LED SET to fit VW Golf IV 4 MK4. Light Chip: SMD 1210 3528 LEDs. Car Model VW GOLF 4. Kit include 4pcs Angel Eyes relay harness. Colour Temperature: 7000±200 K. Colour WHITE 6000K. NOTE: THIS PAGE LISTS THE KIT TO FIT FACELIFT E46 CARS 2002-2006, ALL E46 M3 AND ALL E46 SALOON MODELS. - Brightest Output of any product on the market. The LED is used in a variety of applications due to it s longevity, durability, and cold weather instant operability characteristics. Newest kit for upgrade CCFL halo rings for VW Golf 5. 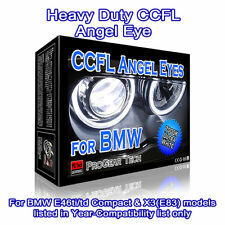 CCFL HALO ANGEL EYES UPGRADE COMPLETE KIT. The CCFL ring can output ultra white HID xenon colour temperature 6000k. XENON MATCH - 6000K. to VW Golf 5. Car Model BMW E46 3-Series FaceLift. CCFL Halo Kits use Cold Cathode Fluorescent Lighting for bright and even-lit ring illumination. CCFL is a Phosphor coated Glass tube (similar to neon) that is powered via a separate inverter and connected to the ring by a PNP connector. BMW Angel Eyes Rings SMD LED SET (Ford Mondeo MK 3). Car Model Ford MONDEO MK3. Colour WHITE 6000K. Light Chip: SMD 1210 3528 LEDs. Kit include 4pcs Angel Eyes relay harness. Plastic cover. Light Technology LED. BMW 3-series E91 Touring Pre-LCI with Xenon Lights 2004 - September 2008. BMW 3-series E90 Saloon Pre-LCI with Xenon Headlights 2004 - September 2008. Give your car a premium appearance with this high quality super bright Angel Eyes Halo Lights. Especially for the BMW E46 COMPACT ONLY 01-05. This is 1 set of 6000K colour crystal fluorescent Angel eye/Halo rings. Made to the highest possible standard with inverters to prevent any bulb failure errors on the dash. (BMW 3 E90 / E91. 2xAngel Eye LED Light. 2) 6000K White Xenon. ☆ Ideal for all uses around the car. Fits: VW Golf MK3 1992-1997 (Left Hand Drive). Left & Right set Angel Eyes Headlights with CCFL-lit side light rings. Installation Instructions: Supplied with all related materials and connection cable are included.